Situated on the east coast of the Koh Samet Island, this hotel is an ideal place to unwind and enjoy the tropical weather Samet has to offer. The island is well known for its pristine beaches stretching along a 100-kilometer coastline and scenic waterfalls amidst exotic surrounding. 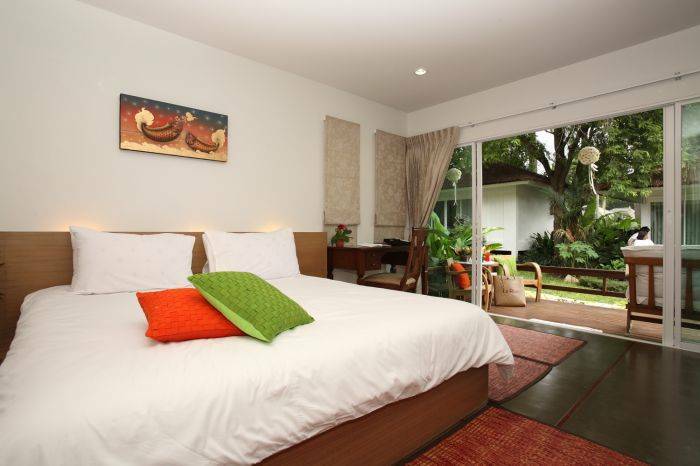 The hotel has a total of 12 cottages, each furnished with a blend of traditional Thai and contemporary flair, along with all the modern amenities assuring guests a simply irresistible experience. Convenient location, a dedicated staff and first-rate facilities make Le Blanc Hotel a favorite among travelers. 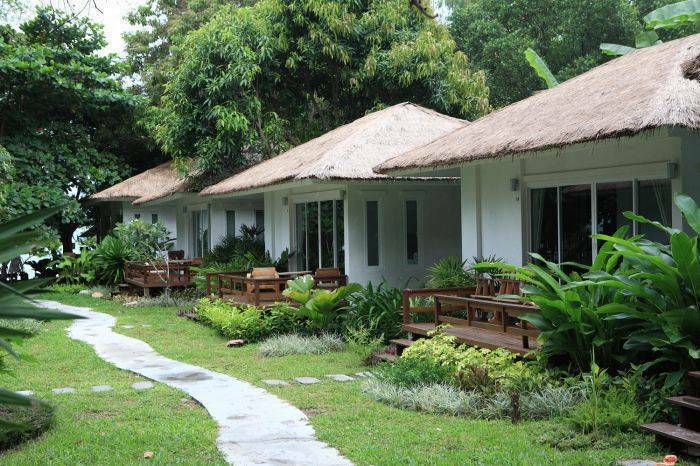 Room are fully Air Condition, with Mini Bar, Bottled of Water, Television, Towel , Cloth slippers, soap, conditioner, shampoo, cotton bud , shower cap, private bathroom, Hot Water Shower, Chair beach, 24 Hrs. Electricity, water. A white cottage Villa with 34 sqm. each cottage has their own terrace and garden, with Tea and coffee, Hair Dryer, individual control air condition, with mini bar etc. 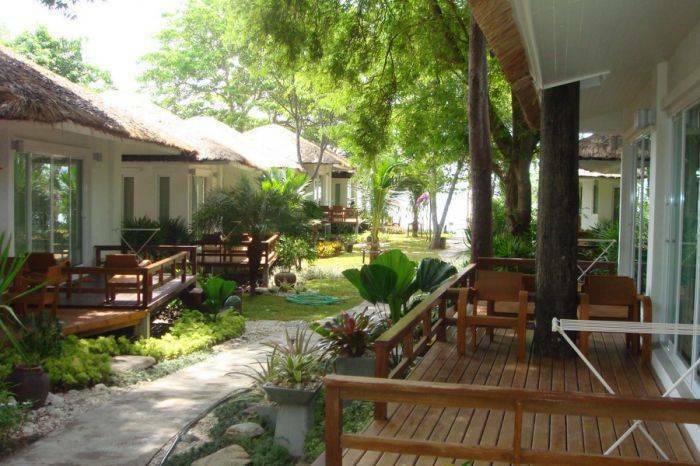 Is in beautiful surroundings, on the east coast of Koh Samet Island. 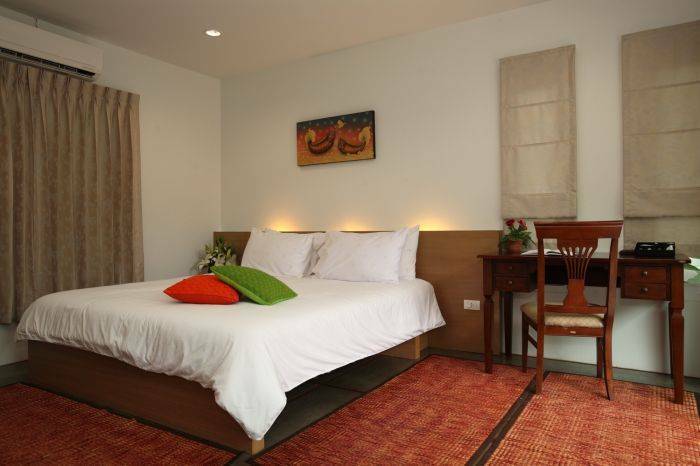 It is ideal for lazing on the white sandy beach or for taking a cooling dip in the blue sea. We intend to present to all guests to feel comfortable when being here. We are the best place of snorkeling, sunset watching, fishing and definitely staying here with the warmest service like a paradise. Located approximately 220 kilometers from Bangkok is another delightful resort on Thailand’s eastern coast – Rayong province. A late bloomer, the province is well known for its pristine beaches stretching along a 100-kilometer coastline and scenic waterfalls amidst exotic surroundings. Aside from this, Rayong is blessed with an abundance of seafood products such as shrimp paste, fish sauce and dried seafood, and tropical fruits of which rambutan, mangosteen and durian are the most famous. Cancel 03 days prior to arrival, otherwise 1 night charge per room. 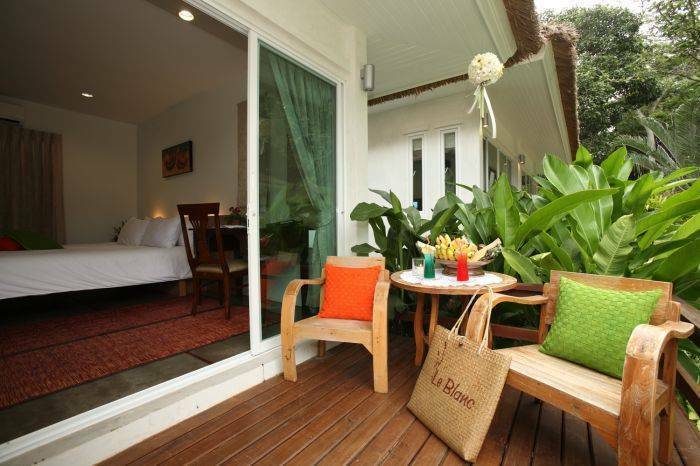 The Le Blanc Samed Resort located at the Opposite of the Municipality of Ban Phe Pier and along high way. Sukhumvit Road (Highway No. 3): Starting from Bangkok passes Bangpu District, Chonburi town, Bangsaen, Sri Racha District, Pattaya, Hat Jomtien, Sattahip District, Ban Chang District to arrive in the center of Rayong Province. The total distance is 220 kilometers.